Birds have mystified us for millennia. Humans have dreamed of flight as the ultimate expression of freedom. While some differences such as feathers are obvious, other differences in anatomy and physiology make flight possible for our winged friends. Let's go over the fundamental differences of humans and birds. As an order, birds are very similar. All birds have feathers. All birds have wings. Flight is the definitive base for differences between chickens and humans. Birds are flying machines, adapted in every respect to maximize this ability. 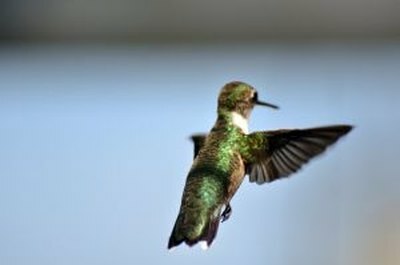 While not all birds fly, their bodies are adapted for speed of locomotion whether it be flight, gliding, swimming or walking. Key differences include adaptations in the skeletal system, respiratory system and nervous systems. Let's consider what makes a bird uniquely a bird in terms of its skeletal system. Again, underlying adaptations is flight and locomotion. To fly, birds need a rigid support system, hence, birds will have fewer bones than humans. Compare the 29 bones in a human's forelimb to 11 in a pigeon. To fly, wings must be supported by a larger mass of muscles. To accomplish this, the sternum or breastbone resembles a keel of a sailboat rather than the flat sternum of humans. Finally, weight is a major limiting factor to flight. Bird bones will consist of air pockets or in some cases as in leg bones, will be completely hollow. In addition, birds don't have teeth. A bird's beak with its air spaces replaces teeth and their added weight. All of these adaptations evolved to make the bird more efficient at flight. The goal is to maximize energy use without compromising physiology or anatomy. Flight takes enormous energy. A system that can use flight as a means of locomotion compatible with energy sources is ideal. Humans rely primarily on one means of locomotion---walking. Thus, our bodies are adapted for this type of movement. We have a complex skeletal and muscular structure with its supporting connective tissue to aid us in getting from one place to another. What if humans could fly? How would our bodies differ? Arm length would be a major factor. An albatross weighing in at 25 pounds has a wingspan of 11 feet. For an averaged-sided human, the wingspan would have to be upwards of 30 to 40 feet, depending upon the speed of travel. Humans and chickens are adapted for their particular lifestyle. Since flight, even if it is in short bursts as with chickens, demands specific adaptations of the skeletal as well as the muscular systems. While weight is not a serious consideration in our locomotion, for birds, weight is the difference between flight and non-flight.